Our customised Might and Power was an absolute sight to behold, and the taste absolutely did not disappoint either. 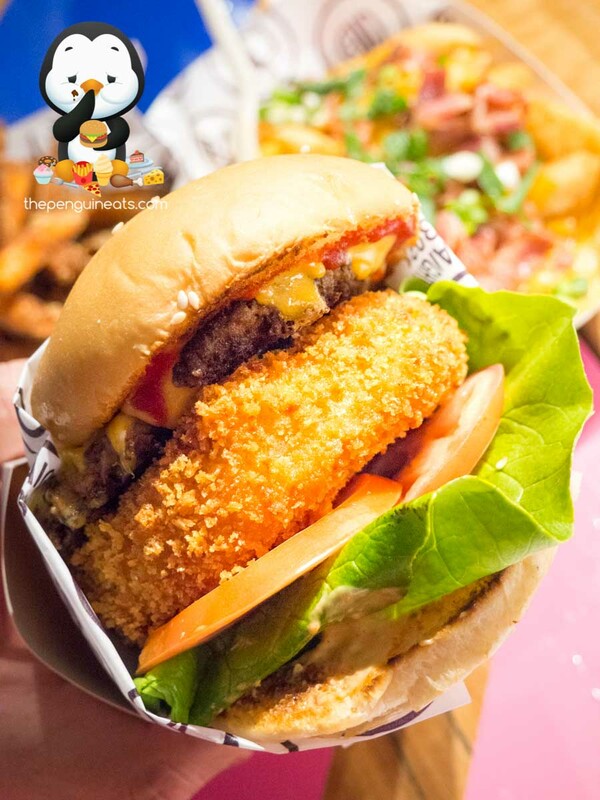 The highlight of the burger was of course the Mac and Cheese Katsu patty. Immensely thick, the light crumbing on the outer reveals a soft, gooey and cheesy inner made of flavoursome macaroni. Well-seasoned and with a slighty spicy sensation, this cheesy goodness of a patty was flawless. Arguably the most important bit was the beef patty. 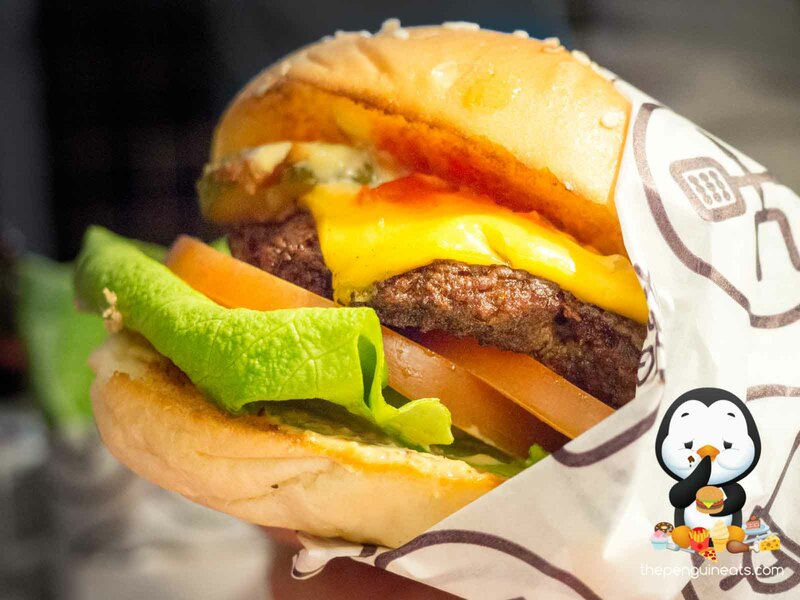 Despite its thin appearance, the patty was cooked to perfection. The charred outer gave way to a well-done inner, which remained very tender and juicy despite being cooked all the way through. With a beautiful beef aroma throughout, this was well complemented by the house special sauce.and of course, the maple bacon that had just a hint of sweetness and rendered down just right. Holding it all together was the bun. While not quite a buttery brioche, these milk buns were fresh, soft and pillowy, yet held it’s structure quite well. 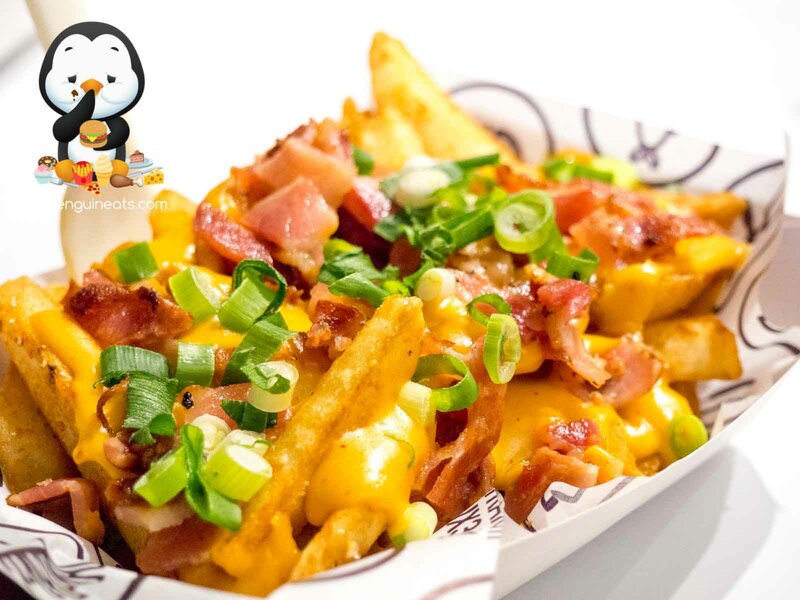 We also enjoyed the Loaded Fries. 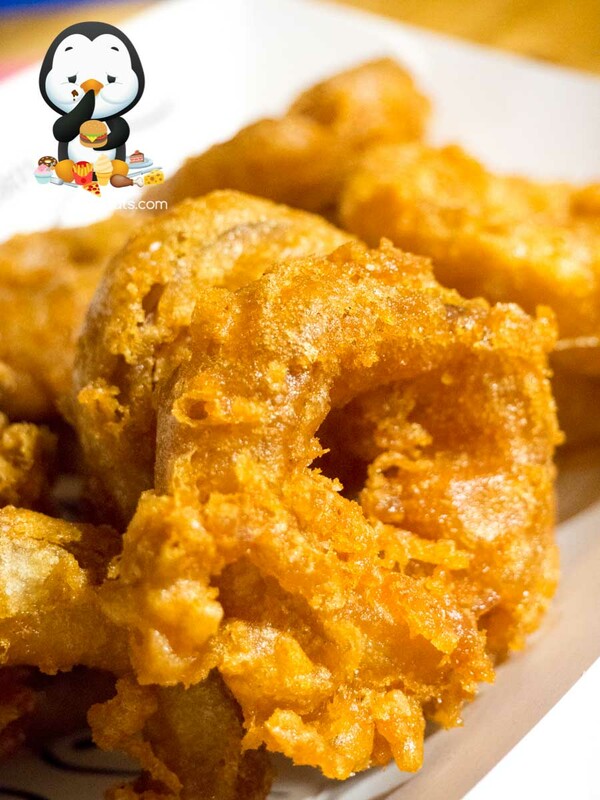 Topped with plenty of deliciously melted cheese, the flavoursome cheese sauce combined with the spicy Straight Six Sauce clung onto a generous portion of crispy, beer battered chips. With a good amount of seasoning, the chips provided a satisfying crunch with each bite, while the spice from the jalapenos added an unexpected kick of heat. The Nutella Shake didn’t disappoint either. 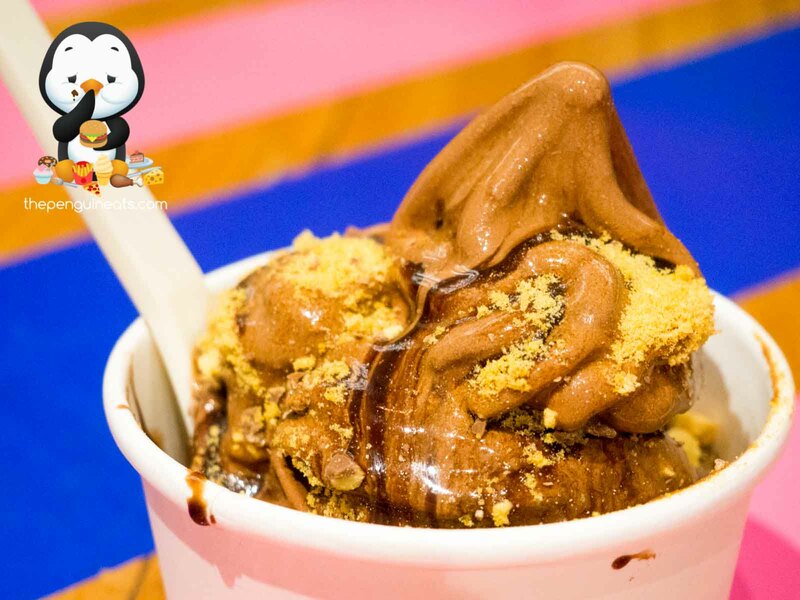 Exceptionally thick and creamy, the shake was blended with a generous amount of chocolate. While we definitely would’ve preferred more Nutella, the chocolate within was of high quality and exhibited good depth in flavours without being overly milky nor sweet. A well-balanced shake that definitely didn’t last long! 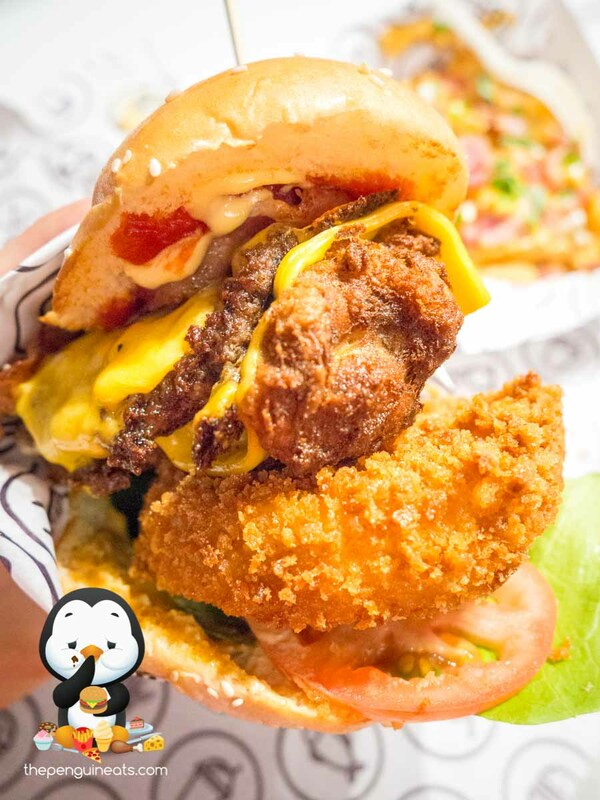 With burger joints popping up left and right all over Melbourne, Straight Six has done a remarkable job in differentiating itself, and that’s no surprise given the brainchild behind this brand new creation is the @dudefoodman himself. 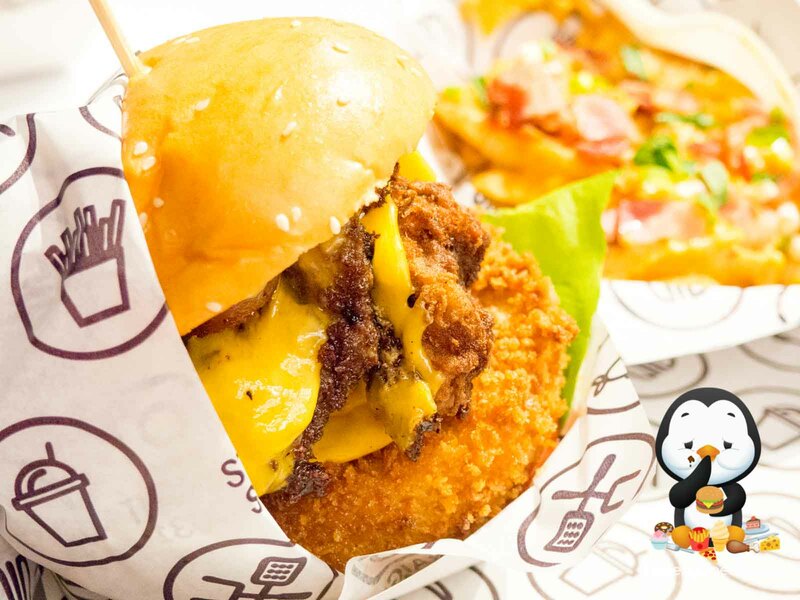 Starting from the quality ingredients, to meticulously thought-out and well-executed components within each burger, the results were nothing short of spectacular and made for some of the most satisfying and gluttonous burgers we’ve sampled. Most definitely. 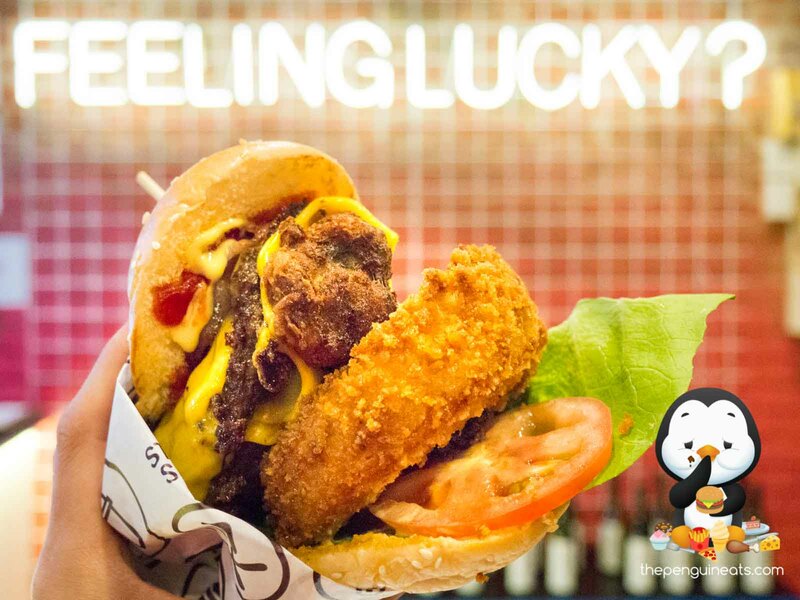 The Fried Chicken and Mac and Cheese Katsu patties were to die for, and I’d be back, again and again. 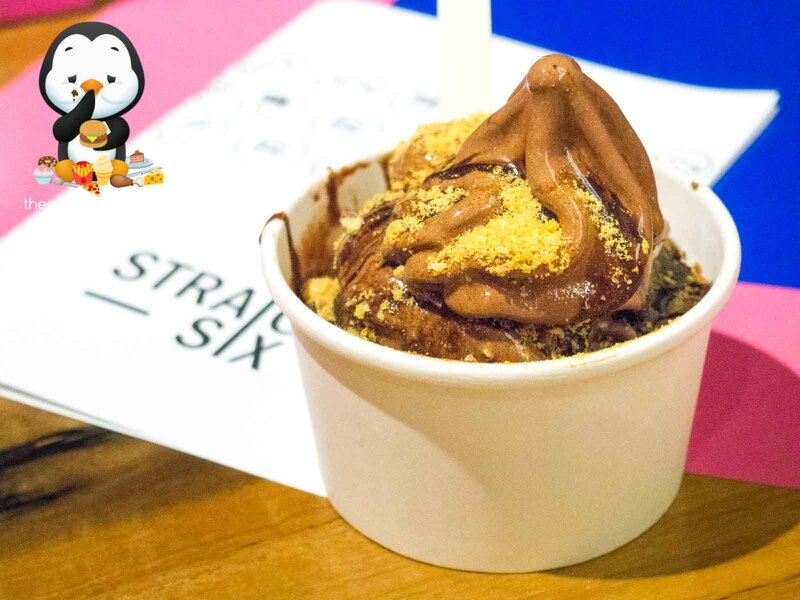 Penguineats would like to thank Straight Six for inviting us.